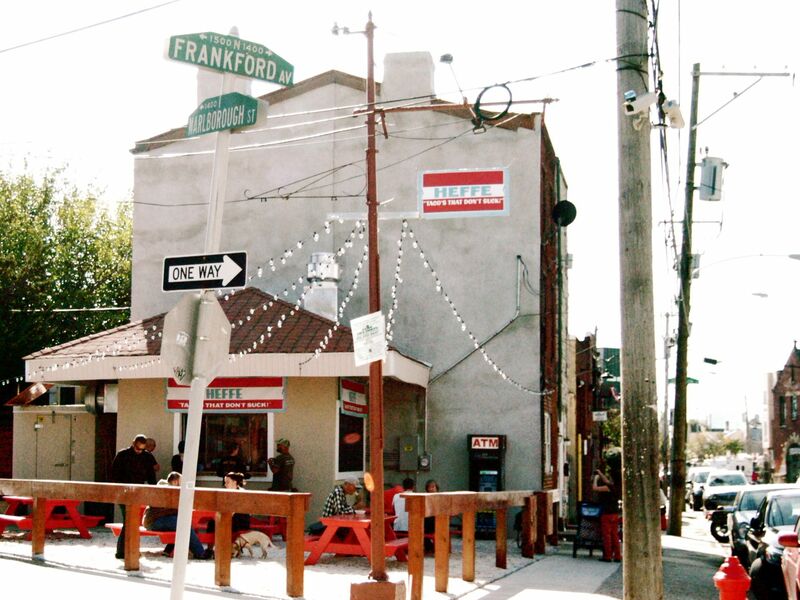 Earlier this week, Foobooz broke news that chef Peter McAndrews (Modo Mio, Paesano’s, Monsu) opened his first Fishtown/not-Italian venture, Heffe, this week. On the cleverly-named menu, lamb belly burritos, octopus tacos, and hangover soup (or menudo soup: pig knuckle, feet, stomach, hominy, etc.) among McAndrews interpretations of more traditional items: Tacos Al[most] Pastor, and Lengua, (calf’s tongue tacos with a raisin puree). The shop is open daily for lunch and dinner, but more importantly, and especially so with The Yachtsman across the street, it’s open until 3:00 a.m. on weekends.